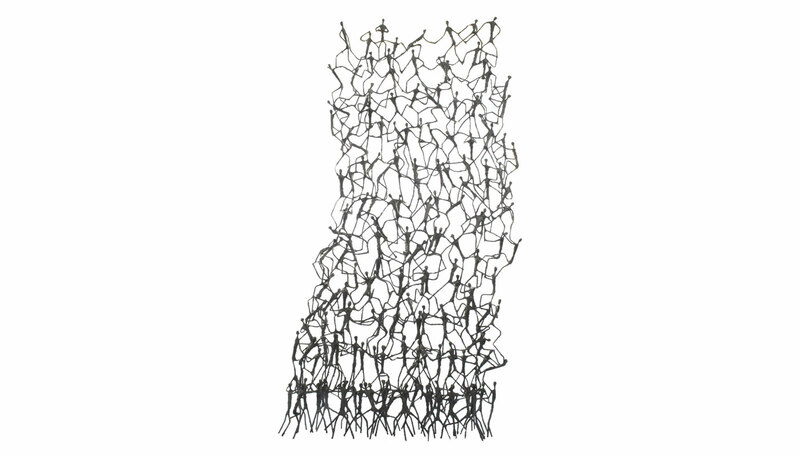 A spectacle of hundreds of individually bent metal rods embodies the playful nature of the Little People Screen. Screen manufactured with special salago fiber on hand-bowed metal with powder-coated base. Available in two colors. Suitable for outdoor use. Price includes shipping to the USA. Manufacturedby Kenneth Cobonpue.